Situated in the historical district, this bed & breakfast is 5.3 mi (8.5 km) from Pezzazze Mine and within 12 mi (20 km) of Camonica Valley and Fucine Park. Stadio Mario Rigamonti and Comune di Vestone are also within 16 mi (25 km). 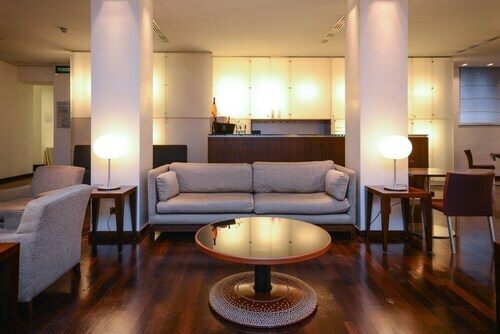 Located in Centro Storico Sud, this hotel is within a 15-minute walk of Freccia Rossa, Duomo Nuovo, and Duomo Vecchio (La Rotonda). Piazza del Duomo and Piazza della Loggia are also within 1 mi (2 km). Brescia Station is only a 2-minute walk and Vittoria Station is 12 minutes. Located in Toscolano Maderno, this beachfront hotel is next to a golf course and within a 15-minute walk of Parco Alto Garda Bresciano and Church of Sant'Andrea. Giardino Botanico Fondazione Andre Heller and Toscolano Maderno Botanical Garden are also within 2 mi (3 km). 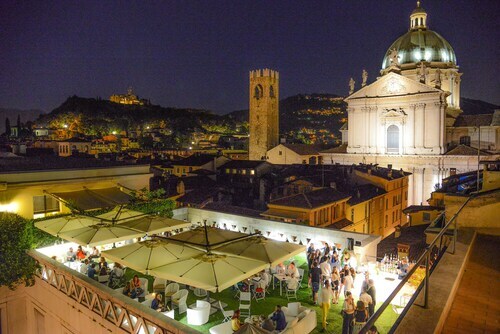 Located in Centro Storico Sud, this luxury hotel is steps from Duomo Nuovo, Duomo Vecchio (La Rotonda), and Piazza del Duomo. Piazza della Loggia and Pinacoteca Tosio Martinengo are also within 10 minutes. Vittoria Station is only a 2-minute walk and San Faustino Station is 10 minutes. How Much is a Hotel Room in Marcheno? Hotels in Marcheno start at $53 per night. Prices and availability subject to change. Additional terms may apply. Are you researching a trip to Marcheno? Unfortunately, Travelocity has no hotel options, however, there are 16 places to stay within a convenient drive of Marcheno. The closest Travelocity-listed accommodation is the L'Albereta, Relais & Chateaux, Lombardy, 14 miles (23 kilometers) from the business district of Marcheno. 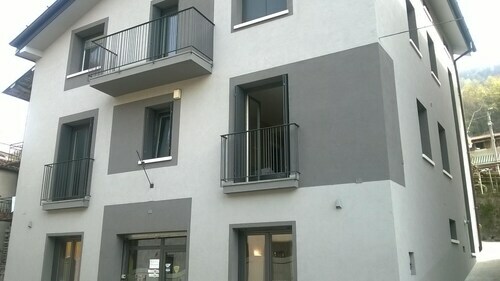 A second easily-reached Travelocity accommodation option is the Palazzo Arzaga, which is in Lombardy, 18 miles (30 kilometers) from the middle of Marcheno. 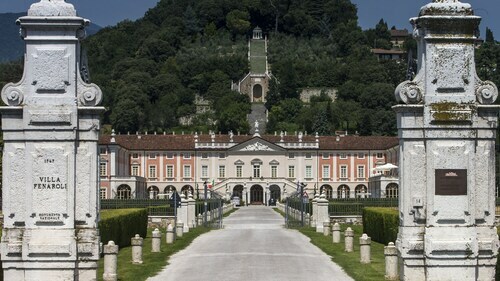 The Relais Franciacorta is around 12 miles (19 kilometers) from the middle of Marcheno. Also, the Araba Fenice can be found approximately 8 miles (12 kilometers) away. Other options in the vicinity include the Cocca Hotel Royal Thai SPA as well as the Hotel Eurovil. The greater Lombardy district is well worth checking out as well. Lombardy has rural landscapes, and other interesting visitor destinations include ruins and castles. Visitors and locals alike in this corner of Italy often love snowboarding. The closest hotels in Brescia are Bovezzo and Polaveno. Bovezzo is 9 miles (14 kilometers) to the south of Marcheno, while Polaveno is 6 miles (9 kilometers) to the south. Bovezzo Travelocity-registered hotel options include the Hotel Vittoria and Regal Apartments. The Hotel Rivalago and Vela are a number of the hotels in Polaveno. If enjoying sport is a favourite pastime, take the time to visit Arena di Verona, which you can find 40 miles (67 kilometers) to the southeast of Marcheno. Those sports fans wishing to find hotels close by should choose between the Grand Relais The Gentleman of Verona - Guest House or the Due Torri Hotel. Orio Al Serio Airport is 25 miles (41 kilometers) from Marcheno's downtown precinct. 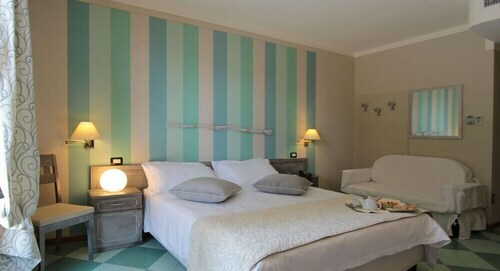 If you choose to stay close by can look into a night at the Bed and Breakfast Alba or Flat La Piazzetta. 5.0 WOW! What an Experience! WOW will be your impression when driving up to this villa. It is out in the countryside in a small town, however it is well worth the stop if you are on the way from Venice to Lake Como as we were. After stopping in Verona for the evening, we showed up here after dark about 9:30 pm and wow, it is a grand impressive entrance to this real authentic palace. On a Friday night in August, it was pretty empty and only a handful of cars and motorcycles were parked outside. It has a slightly spooky "Hotel California" kind of a vibe. However were able to check out and leave in the morning no problem, although we sort of didn't want to ! Great photo ops - we've stayed in more impressive rooms before, but never a more impressive hotel. It is a real villa from 1735, yet it has all been refurbished to a modern hotel about 10 years ago. I imagine during a wedding or business convention, it could be a different experience, however for us it was a great stop-over when driving by car. One note - don't be foolish like we were and drag your luggage across the bumpy couryard - you can pull right up to the front door - yes through the courtyard, drop the bags and then park the car back in the gravel parking lot. It was only in the morning that we figured that out with the help of the wonderful staff. good location near Kennebunkport.friendly and clean and accomodating.